Awakened by a loud beeping sound, Dez lay blinking at the ceiling. It was still early, too early. The annoying sound was so loud it felt almost as though it was coming from a loudspeaker, booming in the silence, chiming its important news from the other room. It was that telltale sound like a demonic screech assaulting your senses. The very sound raised the hairs on the back of your neck because it never brought good news. It was activated on TV and radio when someone somewhere decided it was an emergency; and a broadcast announcement was destined to cast a shadow over the morning coffee. None the less, it woke her with a start and there was no way she would be going back to sleep. Rising from the bed, she grumbled in a barely audible tone, “I will never understand how the hell he can go to sleep with that annoying box droning on in the background.” Matt often fell asleep with the TV on, and it annoyed her that he always forgot to shut it off. Looking over at him, he lay sleeping peacefully, unaware of the sound or her mumblings. Standing up she glanced over her shoulder at him. There he lay, still sleeping silently through that God-awful sound. She again complained to herself, “How freaking hard can it be to set a timer on the damn thing?” She stumbled over her own feet while searching for her slippers, which were frustratingly lost in a heap of rumpled clothing strewn haphazardly on the floor. Shuffling her feet as she walked, almost staggering, she said, “Since I’m not getting any sleep, I might as well make coffee.” A small half smile emerged as she grabbed her robe. She wasn’t as mad as she’d seemed, it was a sunny morning after all, and generally, she liked them. Heading toward the kitchen, she tripped again on the rumpled clothing before stumbling through the bedroom door. She looked back making an inaudible comment back towards the pile. Though she really wanted to sleep in, trying to remain in a foul mood just seemed pointless after the wonderful evening they’d had the night before. She stood filling the coffee maker, not really paying attention to it, going through the motions like she did every other morning; mindlessly doing this morning task. Her thoughts were elsewhere, and she hadn’t even bothered to check the TV. 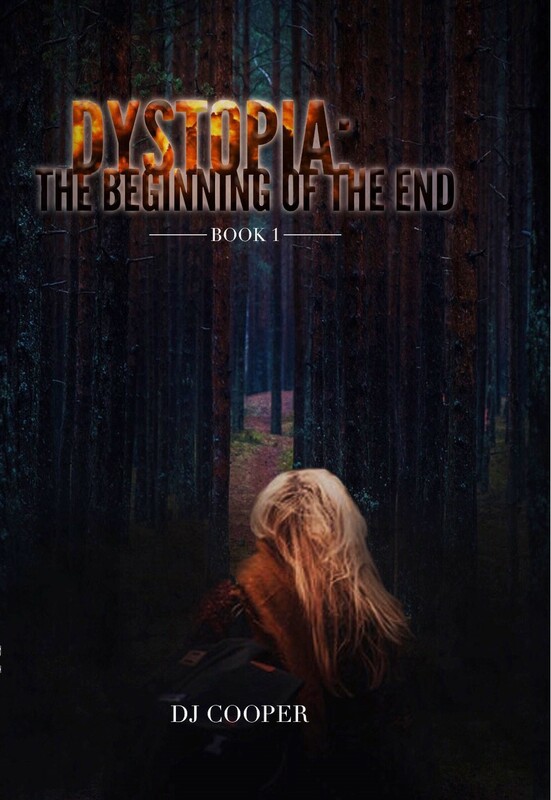 Grab your copy of Dystopia Today!